Homes located in an HOA community come with special rules. If you rent out a property in a planned unit development, a condo complex, or even a single family home in an HOA, you will have rules and regulations. Today, we’re sharing some information on what you need to do to protect yourself and keep your tenants informed. Often, people don’t consider that there will be a second set of bylaws that need to be observed and followed by occupants. Make sure you have a complete copy of the covenants, conditions, and restrictions, and any other types of rules and regulations. One of the most common problems we encounter is when a condo complex has assigned parking. If you don’t give the tenants a copy of the parking policy and they park in a designated spot that’s for someone else, the car gets towed. That will mean towing fees and impound fees. You’ll be stuck with the bill. As far as the courts see it, you didn’t keep the tenant informed about the parking responsibilities. There are also rules about installing a satellite dish for cable television. If people hang towels over a balcony to dry them out or store a bicycle out on the patio, the condo complex may not allow it. 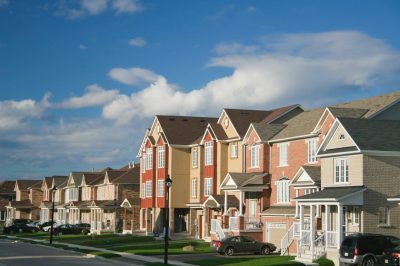 HOA members sometimes walk the community once or twice a month looking for violations. If you don’t provide a full copy of rules to your tenants, you will be stuck with fines. Make sure you get a complete set of the rules and regulations for your HOA. Have the tenant sign for those rules so they can acknowledge that they received them and are responsible for following those rules and regulations. Then, they will be on the hook for any fines. Things like this will protect you in the end and give you the leverage you need. If they don’t comply, you can evict your tenants for not following the HOA rules. If you have any questions or you want to hire a great Chula Vista property management company, please contact us at Noble Real Estate Services.